I've been recently collecting the Japanese Persona 4 the Animation Blu-Rays from my local electronics store because the first few were quite cheap. I'm always on the hunt for ways to incorporate my love of JRPGs into my Japanese studies, so re-watching the series with Japanese voice acting seemed like a great idea. While doing this, I recently came across one of my favourite episodes from the series and it reminded me of why I enjoyed the anime even though it's not as deep as the game. Episodes 13 and 14 'A Stormy Summer Vacation' (part 1 and 2) document Yu Narakami's busy Summer Vacation, where it seems like he's grinding his social links hanging out with new friends and creating memorable bonds, just like in the game. The episode is divided into two parts, but explore the same time period from different perspectives. Episode 13 is from Nanako's perspective and Episode 14 comes back to Narakami's. My favourite of the two episodes is Episode 13, in which the adorable Nanako could be considered the star of the episode. She's missing her big brother while he's spending time with other people so she becomes motivated and excited by her favourite TV show to find out what he's doing. 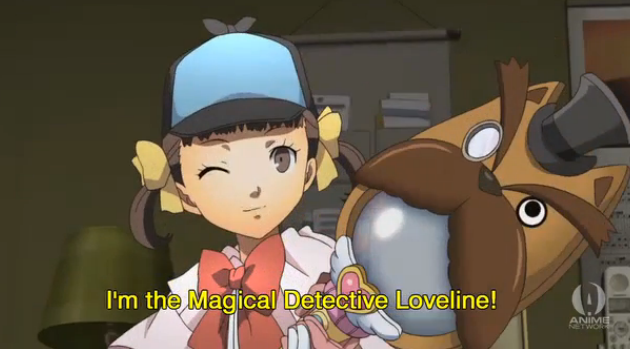 There's a magical girl detective show on TV, so Nanako decides to 'investigate' what her brother is doing and the episode takes a mostly comedic tone from there, with Nanako and the main cast of Persona 4 making outlandish assumptions about what was going on with Narukami's life, causing Nanako to become even more worried. Mixed in with the comedic stance is also exploration of Nanako's feelings of loneliness. Nanako's loneliness is explored a little in the Persona 4 game (and Persona 4 Golden), but this episode goes much more in-depth by exploring it in a lighthearted manner. Nanako begins her adventure as a cosplaying magical girl with the intention of seeing what he's up to. 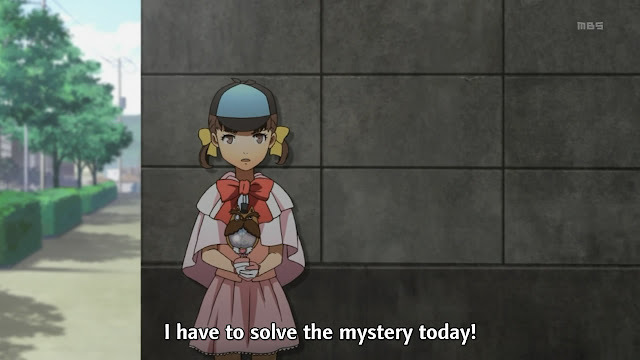 The episode does a great job at portraying Nanako's childlike determination and also the potential misinterpretations made when snooping, especially by a child. While Nanako's story is a tale of loneliness, Yu's story in Episode 14 is one of balancing friendships and responsibility. The title 'Stormy Summer Vacation' is most appropriate in this episode, as Yu is so busy trying to please as many people as possible that his life could be feeling quite turbulent. Although I enjoyed the comedy more in Nanako's episode, this episode is essential as it clears up all the assumptions made in Episode 13 and shows Narukami's true intentions and endearing struggles he goes through for his friends. 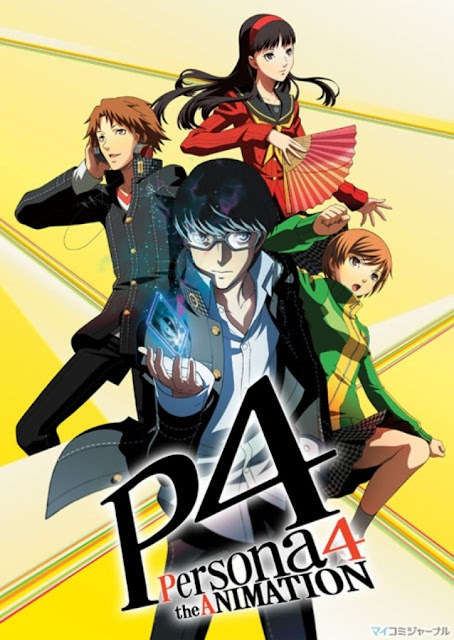 Episode 14 also shows most of the side Social Link characters from the Persona 4 game, a great move for the show as these characters are sometimes overlooked in favour of the main characters, but are an enjoyable and important part of the game, so it's nice to see them getting some screen time in the show. 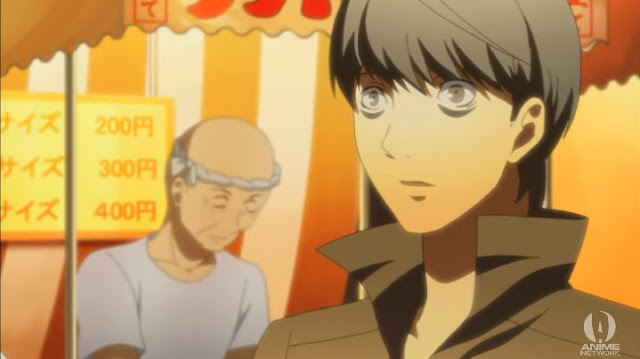 These episodes are a high point in Persona 4 the Animated Series thanks to the extra insight into both Yu and Nanako. I loved seeing all the side social link characters mixed in with the main ones and enjoyed the comedic change of pace in the series. As filler episodes, I think they're a good addition to the series for character development. Even though they kind of reiterate qualities of Nanako and Yu that most fans would already be aware of, it's done in a chaotic and humourous way that portrays it well for the people who haven't played the game and gives a new piece of story for those who have. The balance of these things create a valuable filler episode that's worth not skipping over before moving back to the main story. Which is your favourite episode of Persona 4 the Animation? What do you think of the series? Note: None of the photos in this article are my own screenshots from the show. All watermarks have been kept in tact to show where these photos came from originally.